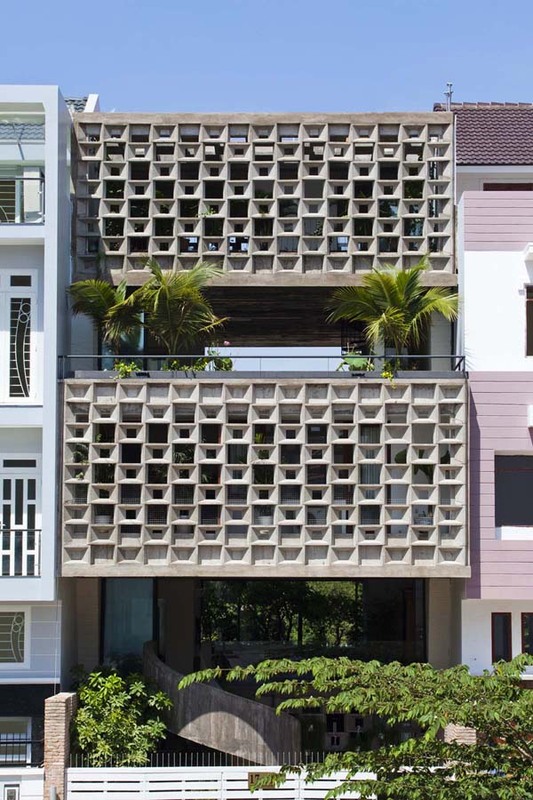 Located in the center of Ho Chi Minh city in Vietnam, Binh Thanh House was designed for two families; a couple in their sixties, their son, his wife and a child. 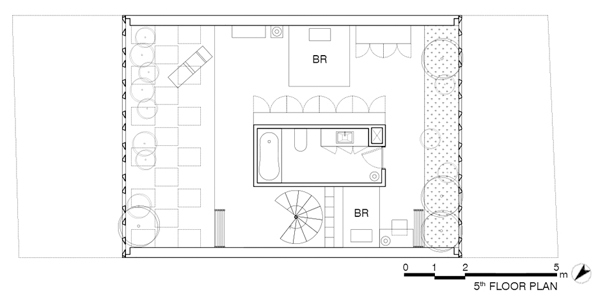 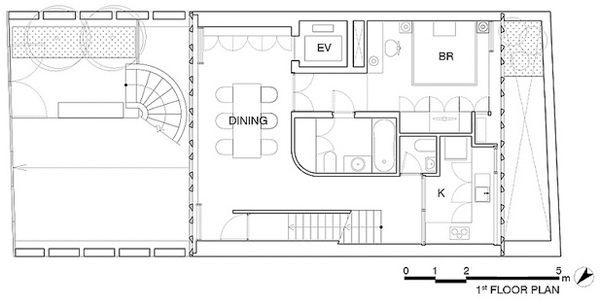 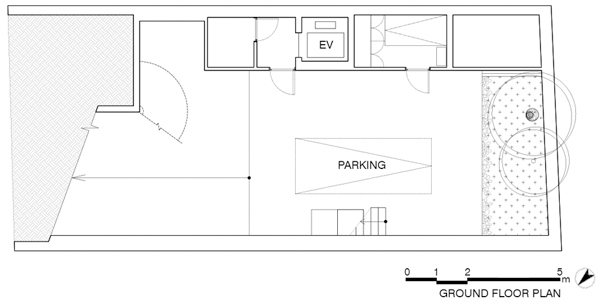 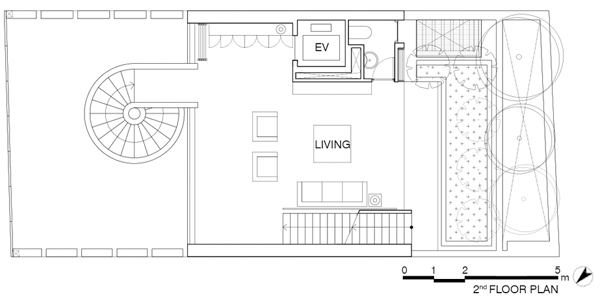 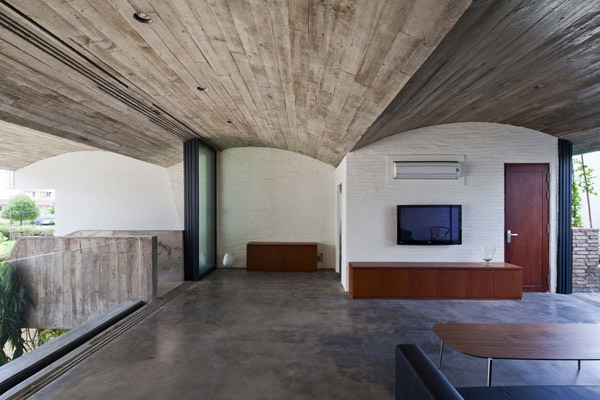 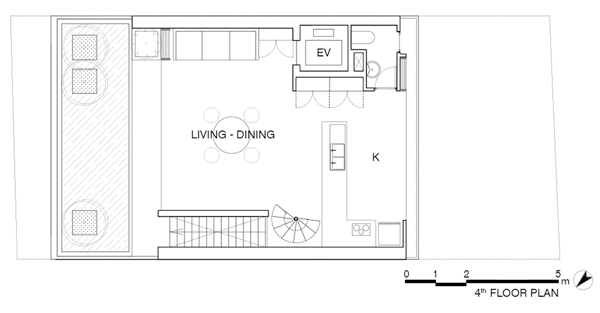 The house is composed of two different spaces positioned alternately. 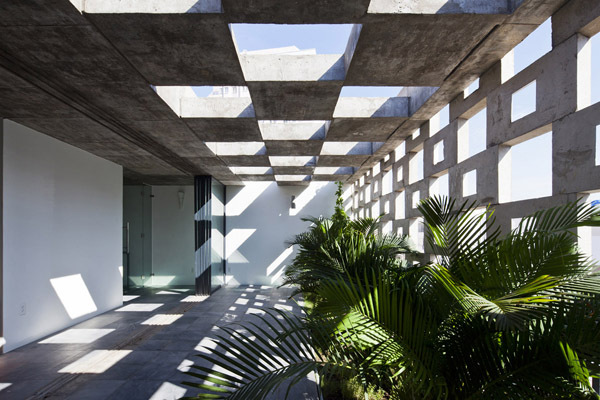 Spaces for modern lifestyle are allocated in three floating volumes wrapped by concrete pattern blocks. 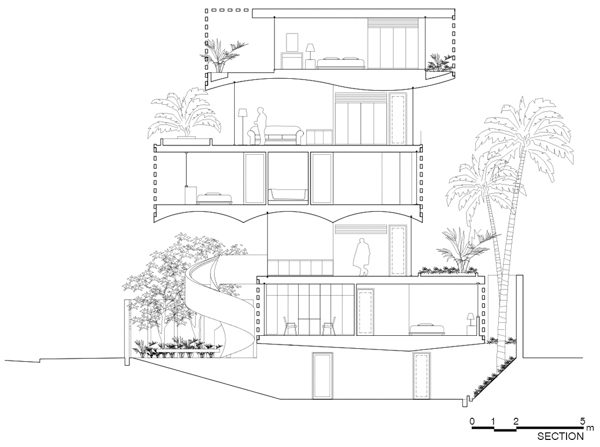 And the spaces between these three volumes are widely open to the exterior and allocated for the natural lifestyle where the residents enjoy wind, sunlight, green and water. 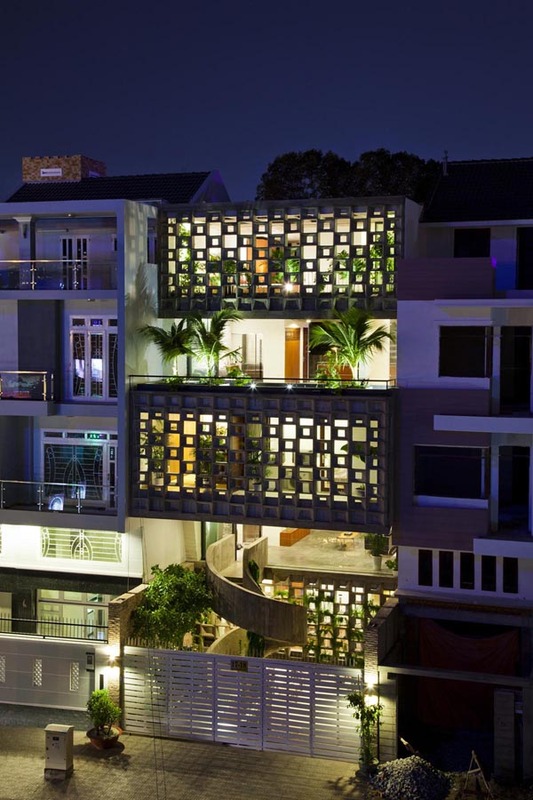 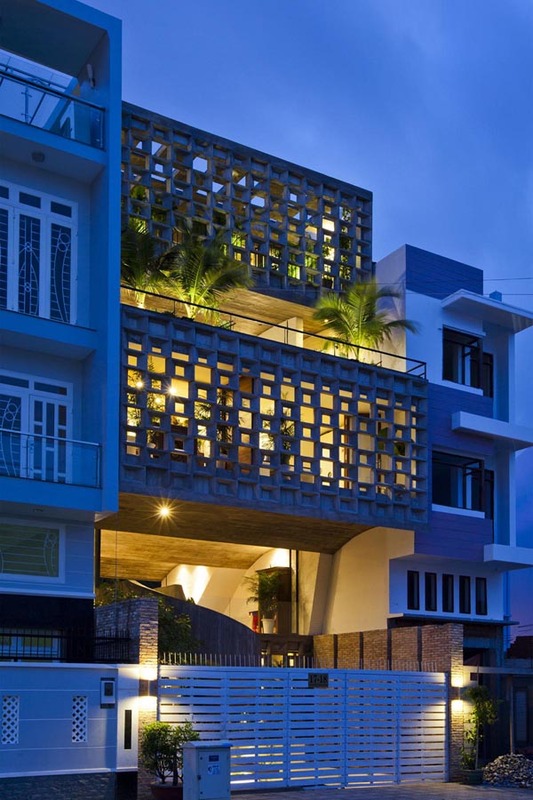 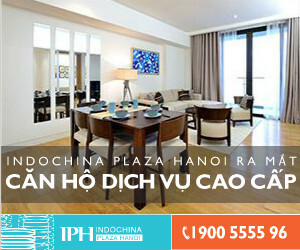 While this house looks different from the stereotypical townhouses in Ho Chi Minh City, all the architectural solutions are derived from the local lifestyle and wisdom. 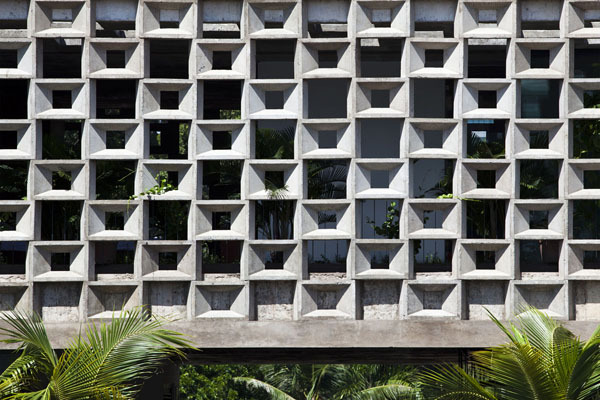 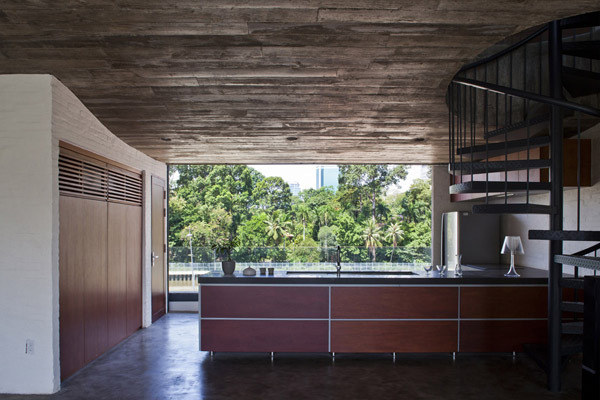 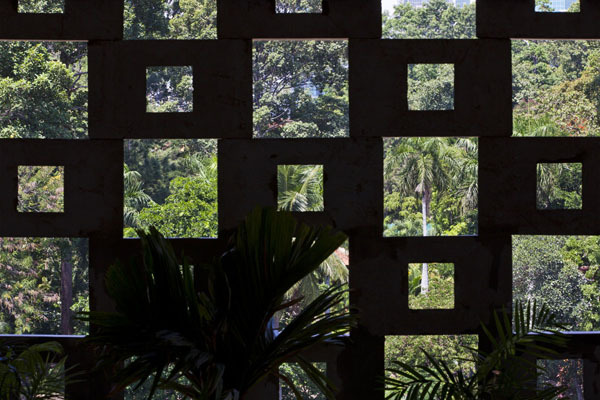 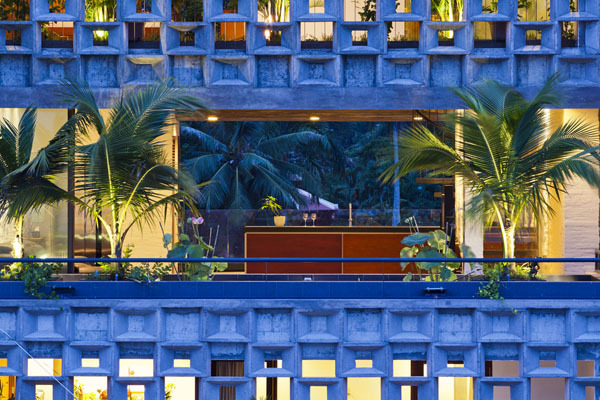 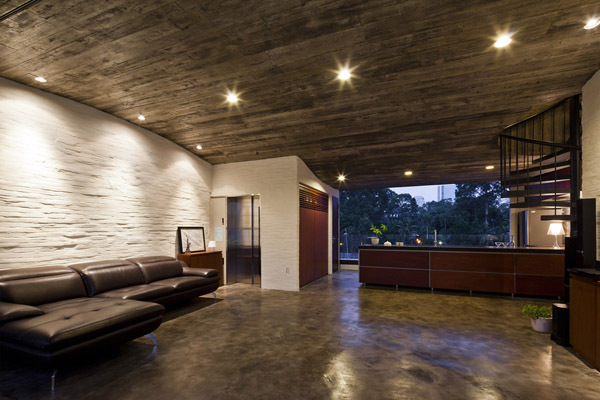 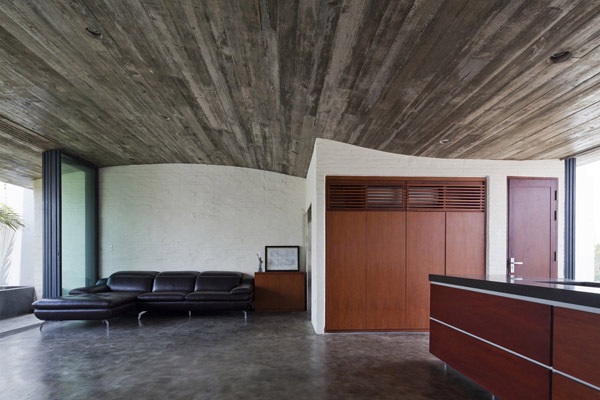 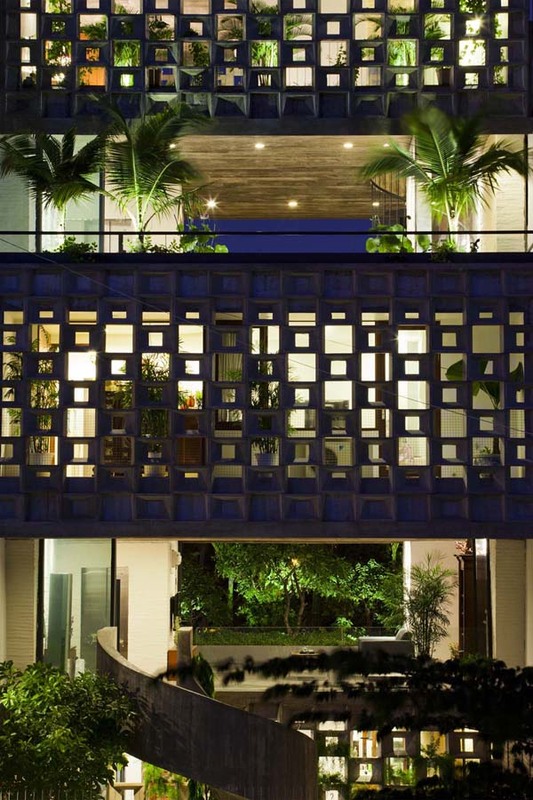 The House offers an interpretation of the ecological lifestyle in the modern tropical city. 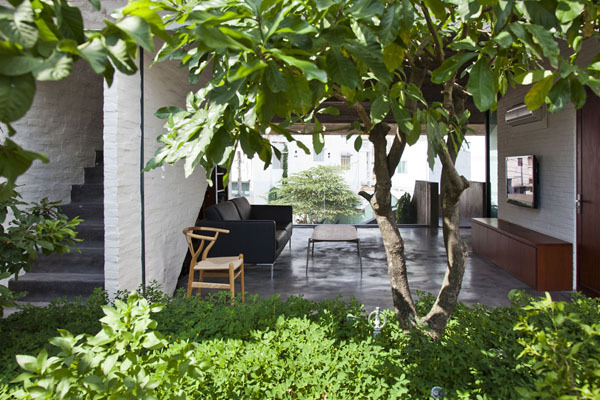 It is where modern and natural life are compatible with each other.